The Mumbai terror attack of Nov. 26, 2008 established a new level of covert offensive of Pakistan in terms of daring and planning and marked a high point of collaboration between Pak army and Islamic radicals for conducting a proxy war against India. This was the first attack made from the high sea- at least ten heavily armed terrorists alighted from a boat on Nariman point and elsewhere and in remotely directed acts of violence spread over nearly 72 hours, took on a dozen targets in the financial capital of India including the Taj Hotel. They caused the death of 173 persons and injuries to nearly 300 others. This was aptly described as the 9/11 of India- a comparison that justifies the total convergence that now exists between the US under President Donald Trump and the Modi regime in India against the common threat from Islamic extremists facing the two countries. In 2008 Pakistan was emboldened by the US tilt in its favour in relation to India because of its presumed role as an American ally in the 'war on terror' in the post- 9/11 period. Bits and pieces of Intelligence about the 26/11 attack were available- a significant one coming from the US agencies warned of a terrorist attack on Taj Hotel but on the whole information was deficient in terms of any definitive indication of an attack from the sea. Perhaps a meticulous collation of fragments of Intelligence originating from various quarters at the Centre and in the state might have produced a better alert. Post-event, Intelligence Bureau was able to track the ongoing directions that were coming from the masterminds behind the attack based in Pakistan. A lot would have been achieved if IB had pursued the overseas area of contact of Student Islamic Movement of India (SIMI ) - a militant offshoot of the Jamaat-e-Islami the known protege of Pakistan. SIMI had already joined up with International Islamic Federation of Student Organisations ( IIFSO ) and World Assembly of Muslim Youth (WAMY )- affiliates of OIC and this put SIMI on the same grid as Saudi funded Lashkar-e-Toiba. A remarkable development that did not receive the attention that it deserved was that Indian Mujahideen - an offshoot of SIMI - was already linking up with LeT. Its collaboration with Lashkar became clear after the Mumbai attack. A learning from 26/11 is that counter-terror operations of IB required a deep understanding of the links among the Islamic militants who were motivated by faith. It would do us good if the network of Mujahideen based in India is surveilled more comprehensively from now on - as this might even reveal the sources of patronage enjoyed by them within and outside the country. Analysis of Mumbai attack shows that the ‘friendly Intelligence cooperation’ between the US and India did not fully work at that time as the former had more information than it chose to share with India- as established by the disclosures of David Coleman Headley a US agent who had one leg in the Pak ISI. Americans knew about the marine dimension of the attack. They watched the doings of their ‘ally’ but had no compulsion about neutralising it. US was making a distinction between the India-specific terrorists of Lashkar-e-Toiba on one hand and the radical Al Qaeda headed by Osama bin Laden on the other and in their naïveté believed that Pakistan army would fight the American war against the latter- clearly forgetting that it is Pakistan that had established the Afghan Islamic Emirate at Kabul under the Taliban-Al Qaeda combine in 1996. Over the years American policy makers - particularly after taking out bin Laden in a mid night operation of Navy Seals at Abottabad in May 2011- have learnt not to make an artificial distinction between ‘good terrorists’ and ‘bad terrorists’- with President Trump finally discarding that line of thought altogether. An explanation of why the Pak army embarked on a war like adventure of 26/11 against this country lies at least partially in the ambiguities of India's weak policy towards the US and Pakistan in those times. A decade later one can easily recall that John Kerry -Chairman Foreign Relations Committee of the US Senate- who was the first high American dignitary to visit Mumbai after the 26/11 attack- was keen to bail out the Pak army by spreading the view that the Mumbai attack was totally the doing of 'non state actors'. The Prime Minister of the day -to the surprise of many -lost no time in accepting this version- a totally artificial construct- perhaps because the keenness to remain aligned with the US was so strong that the policy overrode the demand of national security. It is the national security scenario that dictates policy- not the other way round but this was apparently forgotten by the advisors. Even the natural response of putting talks with Pakistan on the back burner was not considered for the fear that Americans might raise their eyebrows on it. In a refreshing contrast Indo-US relations have reached their strongest pitch under the Modi regime because India's leadership is upfront about basing bilateral relations solely on mutual benefits in the spheres of economy and national security. American policy makers do not hyphenate India with Pakistan any more largely because they have understood that both 9/11 and 26/11 were the doing of Islamic fanatics who had a common umbilical cord in Pakistan. Coming back to the state of affairs in the intelligence set up of India around the time when Mumbai attack occurred, it may be pointed out that the Multi Agency Centre meant to pool all relevant Intelligence available with various agencies had been functioning at the Centre under the MHA as an adjunct of IB since 2002 itself and so were its state counterparts in all capitals. 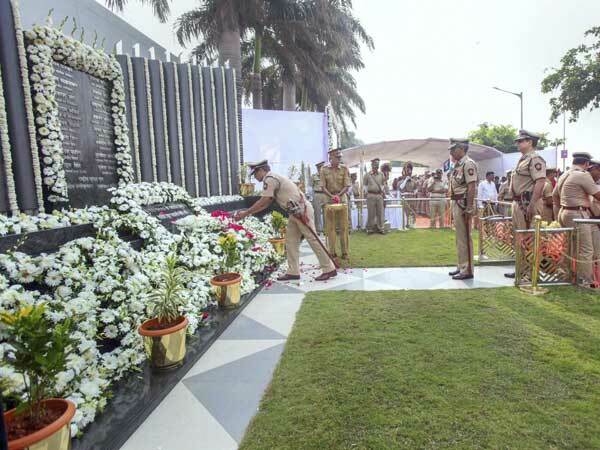 It seems 26/11 prompted the Centre to upgrade and further empower this arrangement by seeking to establish National Counter Terrorism Centre ( NCTC) as an independent body in the MHA which will receive reports from all agencies of the Centre and the states on Terrorism and which will be given legal powers of arrest, search and seizure ‘to bridge the gap between Information and Action’ that still existed in the system. The new proposal was an emulation of the Fusion Centres of the US which handled Intelligence on Terrorism and directed action on the same and it sparked of a huge protest from the states in India ruled by different parties who thought that the Centre's encroachment on Police turf would lead to its political misuse. It would have been better if the then Home Minister would have made an announcement about formation of NCTC after tasking the DGPs Conference, which is chaired by DIB, to examine it in depth and come out with its endorsement of the project. The second initiative of creating NATGRID - an integrated platform of relevant data bases like Banking and Immigration -will be of great help in detecting the footprints of terrorists and their handlers in the internet- based systems. A fully developed NATGRID might have been able to produce - through data analytics- triggers about David Headley, independently of US. NATGRID is work in progress now. The future is indicating a long-range combat between Islamic extremists on one hand and the democratic world on the other. Violence in the name of faith is on the rise across the Muslim world as the exclusivism of Islamic radicals with an underlying attitude of 'rejectionism' towards other religions is not being effectively countered from within that world. India has to put all the lessons of 26/11 into use- in its domestic and foreign policy -in order to handle that challenge.